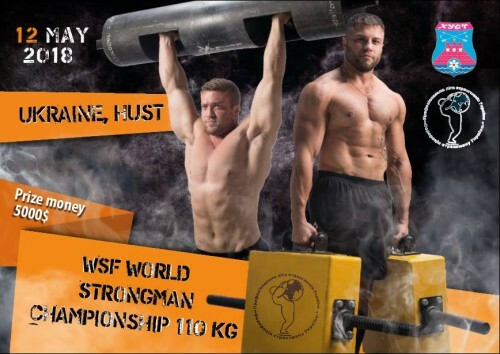 WSF World Strongman Championship U110 kg held in town Khust (Carpathian Ruthenia, Ukraine) on 12 of May. 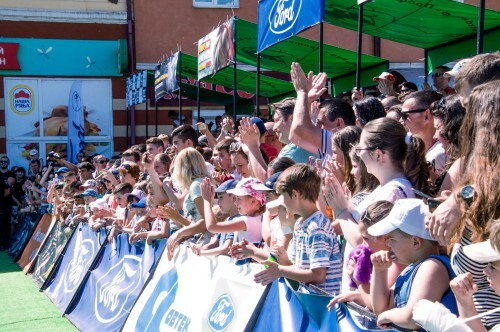 More than 2 thousand spectators were watched strongman competition. It`s was the best WSF tournament in last 10 years! 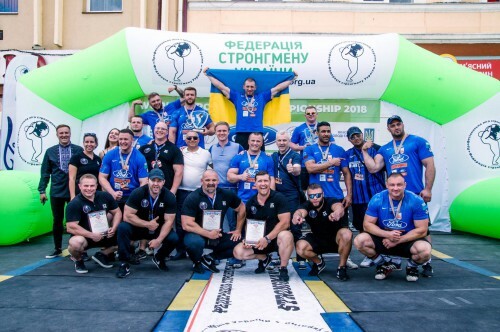 22 athletes from 8 countries participated in the World Strongman Federation (WSF) Championship organized by FSU (Federation of Strongman of Ukraine). 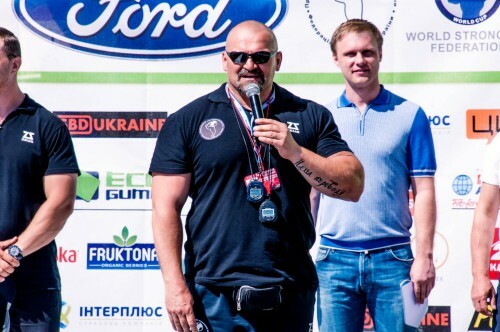 President of FSU is 2-time WSF World Champion u110kg Serhiy Konyushok and honorary president – 2004 World Strongest Man and 2007 IFSA World champion Vasyl Virastyuk. Ukrainian Oleksandr Kochergin won the WSF World Championship under 110kg in a very convincing style. The question about world crown was open until the final event! The competition format consisted of two stages: Qualification (three events) and Finals for the 10 best athletes by qualification after competing in four events. Latvian Maris Krievelis surprised his opponents in the first event “Tire Flip” (6 flips with time limit 60 seconds). 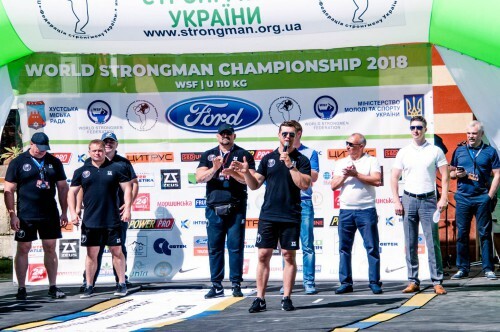 The 23-year-old pupil of the famous Strongman Agris Kazelniks with time 22,91 sec outpaced the Ukrainian favorites of this discipline – Yuriy Ogonovskiy (23,78 sec) and Oleksandr Kochergin (23,46 sec). 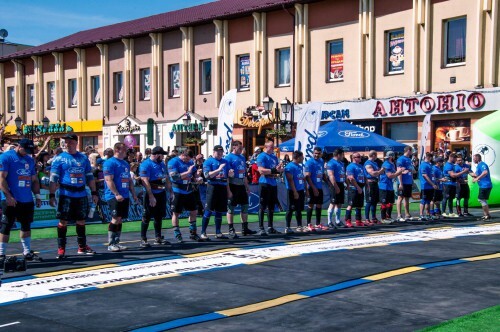 In the second event – “Log Lift for maximum”, six athletes fixed a weight of 150 kilos sharing the first place. 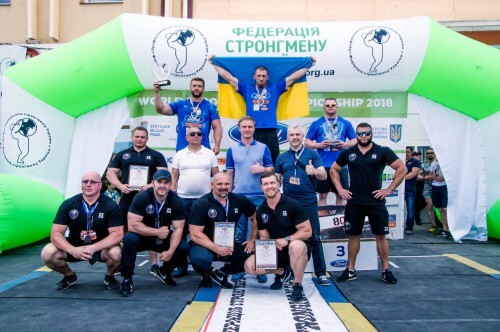 The last qualification event – “Farmer’s Walk” (2*130 kg for 40 meters) – won by 3-times Ukraine u110kg Champion Pavlo Haisha (19.65 sec), whom went to the final with third result. Oleksandr Kochergin won the qualification, Polish Patryk Przybyla was second. 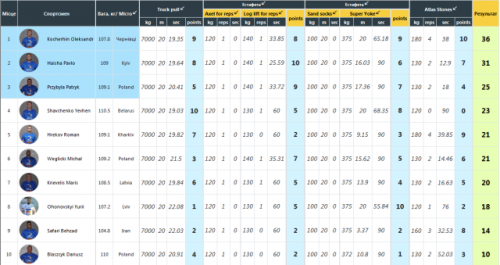 Four strongmen from Ukraine, three from Poland and one from Belarus, Latvia and Iran advanced to the Final Top Ten. 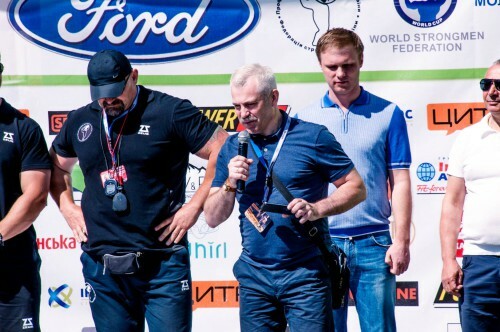 First event – “Truck Pull” (8,5 ton truck for 20 meters) – won by Belarusian Evgeniy Shavchenko. His time – 19,03 seconds was in 0,32 seconds ahead of Kochergin and 0.62 seconds of Haisha. Pavlo Haisha made a “revenge” in the next event – “Over Head Medley” – he secured solid victory by fixed three kinds of bars (120kg Axel, 130 kg log and 140 kg log) in 25.29 seconds! Przybyla (3 reps in 33,72 sec) finished second, Kochergin (3 reps 33,85 sec) – third. 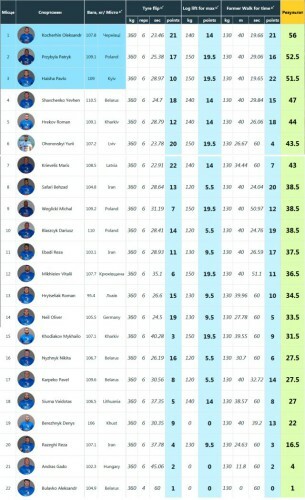 This victory brought Haisha to the first place in the overall standing. 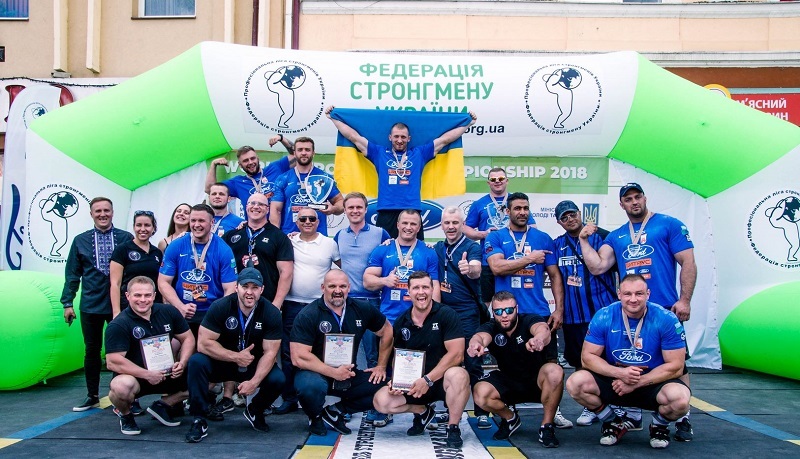 However, in the third event of the Final – “Carry Medley” (2*100kg sandbags for 20 meters + 375 kg Super-Yoke for 20m) Kochergin with a result of 65,18 sec, having taken second place, won three points at once in the competition with a main opponent! Haisha, who couldn`t reach the finish line because of back injury was fourth. Yuriy Ogonovskyi from Ukraine showed best result in this event – 55,84 seconds. 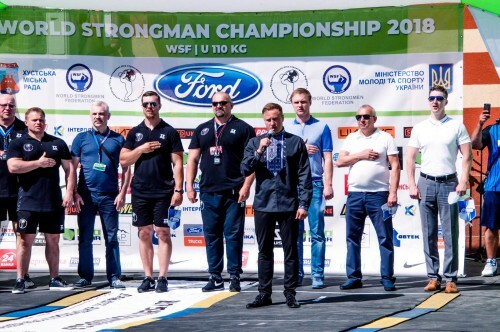 Before the final event – “Atlas Stones” (4 stones – 120,130,160,180 kg), the advantage of Oleksandr Kochergin in the overall score was 2 points, leaving the chance for Pavlo Haisha to make a comeback. 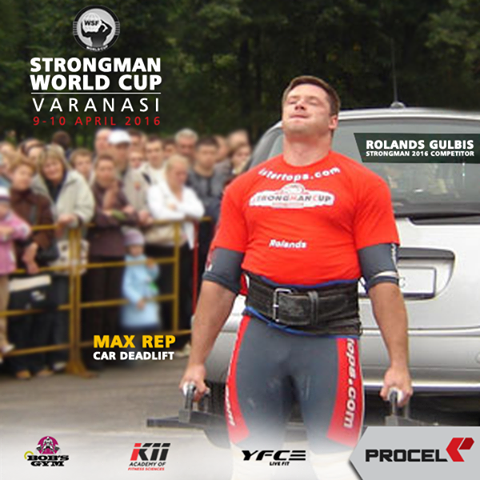 But the confident victory in “Atlas Stones” confirmed the legitimacy of Kochergin`s claims for the world title! 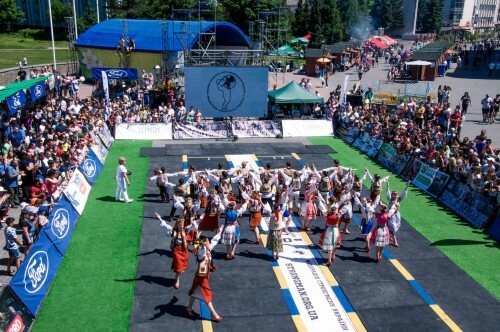 Put all the stones on 1,45 m height platforms in 38 seconds, the strongman from Chernivtsi has won the first world gold in his carrier with a solid reserve! Pavlo Haisha finished second, Patryk Przybyla – third. 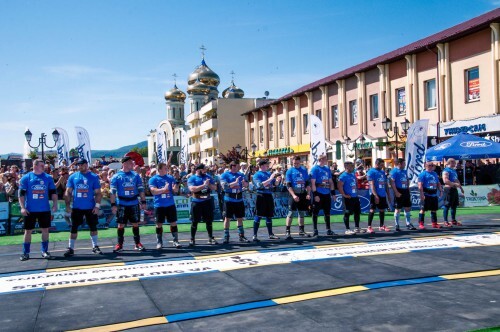 The large number of athletes who registered for the World Championship, the great interest of the public in the strength athletes competition and the picturesque nature of the Carpathians convinced the WSF and FSU that next year’s World Championship will take place in the same place – town Khust in Carpathian Ruthenia. 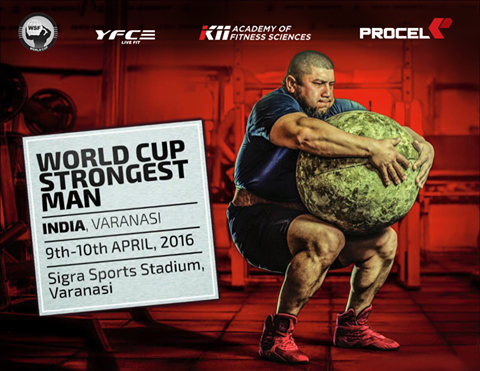 By the way, in 2019 it will be competitions in two categories – under 95 kg and under 110 kg!